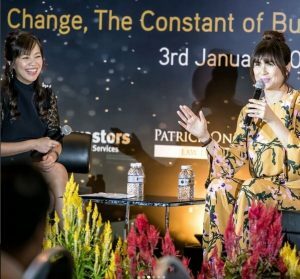 Mary attended Raffles Girls’ School, Raffles Junior College, and Nanyang Technological University where she graduated with Second Upper Honours in Accountancy. 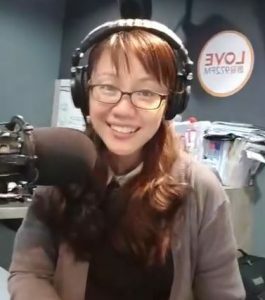 She made the switch from an auditor to a producer/presenter with Mediacorp’s Chinese radio station YES 933 in 1997. She moved on to Capital 958, a news and info station in 2012 to widen her scope and exposure. 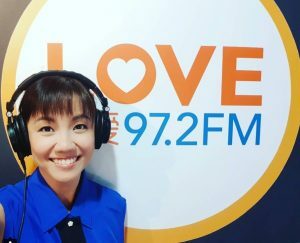 In August 2017, Mary moved to Love 972, being the first radio DJ in recent years to be on the top 3 radio stations in Singapore. Mary’s cheerful and friendly personality helped her gain popularity among the listeners. Being effectively bilingual, she has hosted numerous corporate functions, media launches, press conferences and charity shows. Having a bright, cheery and yet versatile voice, Mary has been the voice behind many radio and television commercials. She has also branched into television hosting and acting. Contrary to popular beliefs, Bukoh is not a combination of her father’s and mother’s surname. Legend goes that many many years ago, her ancestor (Mr Koh, 许姓) was adopted by a relative (Mr Bu, 巫姓). To repay his gratitude, thereafter Mr Koh changed his surname to Bukoh.